Bot Libre 7 adds support for using Regular Expressions in patterns, templates, and scripts. Regular Expressions, or Regex defines a pattern syntax for parsing text. 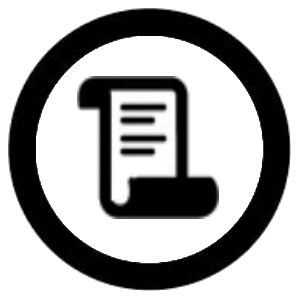 Unlike AIML and Bot Libre patterns Regex patterns are character based, not word base, so can match specific types of words and word sequences such as numbers, dates, times, currency, and others. Through Bot Libre, you can now use your own bot to send and receive messages using any Amazon Alexa device. This "How To" will give you a step by step process to connect your bot with Amazon Alexa. Through Bot Libre, you can now use your own bot to send and receive messages on Google Home or any other Google Assistant-compatible device. This "How To" will give you a step by step process to connect your bot with Google Assistant. 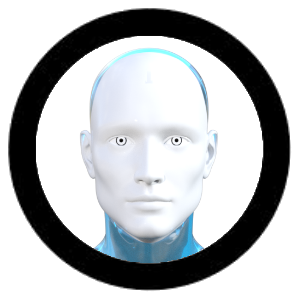 Bot Libre now offers courses and education on bots and artificial intelligent technology. You can take the "Introduction to Bot Libre" course for free and be guided through the course by our bot instructor. The Bot Libre platform is not just a bot platform, but also a platform for artificial intelligence and deep learning. With Bot Libre you can create your own deep learning neural network for image recognition, audio and speech recognition, object detection, games, prediction, data analysis, and more. We have released Bot Libre 7! Bot Libre 6.5 added support for define isolated conversation flows through using the response "Next" elements. 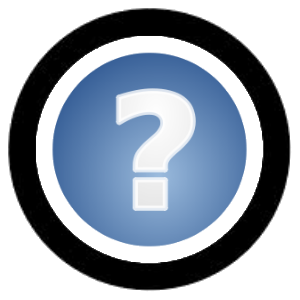 The next is a follow-up question that the user might ask after the bot gives the response. For example, if you had a response to the question "help" as "Do you want help with web or mobile? ", then if the user responded with "web", that would be a follow-up question. 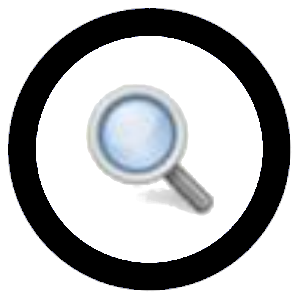 Bot Libre Desktop is the desktop version of the Bot Libre platform for your PC or Mac. Bot Libre Desktop lets you create your own personal AI bot on your own computer. The bot is stored offline locally on your own computer without limits, and with complete privacy. Bot Libre now supports bot analytics and charts for chat and social media. Analytics provide statistical data on how well your bot is performing, including analytics such as engaged conversations, user sentiment, and response confidence. Announcing the Bot Libre Micro AI Engine and Bot Libre Offline - "Putting advanced artificial intelligence in the palm of your hand"
We have released Bot Libre Offline for Android. Bot Libre Offline lets you create your own chat bot similar to the Bot Libre app. Unlike the Bot Libre app, Bot Libre Offline runs the bot locally on your phone, and does not require an Internet connection. Through Bot Libre, you can now send and receive messages on WeChat with your own bot. This "How To" will give you a step by step process to connect your bot with WeChat. Bot Libre now supports timers. Timers let your bot perform automated tasks on a scheduled basis. You can use timers to have your bot followup with users on Facebook and social media on a daily or scheduled basis, create mailing lists, generate daily reports, and automate web scraping or other tasks. 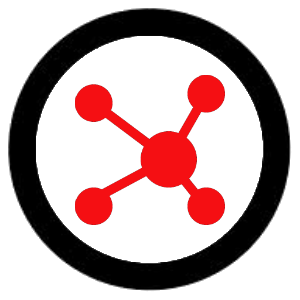 The Bot Libre Cloud Bot Platform lets you license the Bot Libre bot platform for your own server and clients. , links, and much more. You can add a command to any Question and Response from the "Training & Chat Logs" page in your bot's Admin Console, or by importing a response list file of commands from the "Training & Chat Logs" page. The Bot Libre Personal Assistant app adds the ability to schedule events, get directions via GoogleMaps, set alarms, send texts, emails and much more - all by chatting with your bot! Create a new personal assistant bot or browse our hundreds of bots with the added assistant functionality. Bots can do more than just chat. They can book appointments, service calls, meetings, send emails, and SMS messages. Bot Libre has support for connecting your bot to Google Calendar to access your schedule and book appointments. To connect your bot to Google Calendar go to your bot's "Google" page in its "Admin Console". It is no longer sufficient for a business to only connect with their customers on their website. Customers now use a variety of different messaging and social media platforms, and expect to be able to connect with businesses through social media. If your business is not on Facebook, Twitter, Telegram, or other platforms you are missing engaging with your customers. Through Bot Libre, you can now send and receive messages on Slack with your own bot. You can use this to chat with your bot through Slack or have your bot monitor and response to users in a Slack channel. This "How To" will give you a step by step process to connect your bot with Slack. The Bot Libre iOS app has been updated with a large amount of new features. The Bot Libre iOS app allows you to create, train and share your own chat bot from your iPhone, iPod or iPad. 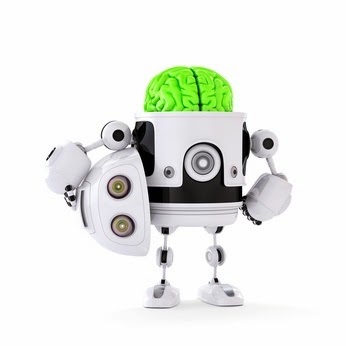 The chat bots have artificial intelligence and are capable of learning through conversation. You can create your own bot, or chat with other peoples bots. There are thousands of bots on Bot Libre to talk to. 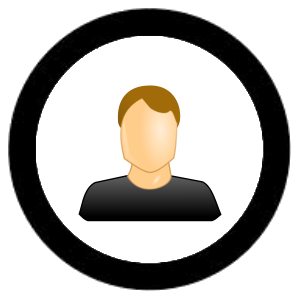 Avatar library to choose your bot's avatar from a large selection 3D and video animated avatars. 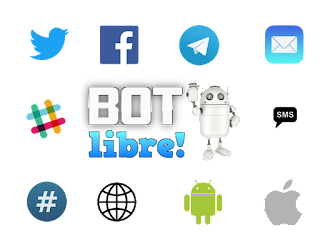 Bot Libre now supports integrating with XML and JSON web services, HTML scraping, and access to Twitter, Facebook, Telegram, email, and other services. From our scripting languages Self, and AIML you can now access any web service that returns XML or JSON data. You can also scrape information from HTML web pages, and send emails, tweets, Facebook posts, Telegram posts, and more. A virtual agent is a term typically used to describe a type of chat bot used for business. A virtual agent could be a virtual sales agent, a virtual customer service agent, or another type of virtual agent. 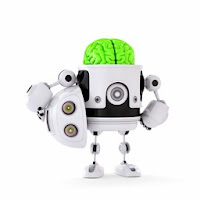 A virtual agent is an automated version of a human customer service agent. Keeping up with social media and keeping your online community engaged can be a time consuming task. Through Bot Libre you can now automate your Facebook presence with your own Facebook Messenger bot. Any Bot Libre bot can be connected to a Facebook Messenger page account. The bot will reply to your users questions in real-time using the responses of script you have trained your bot with. Telegram is an open platform for chat on mobile and other platforms. Telegram lets you chat on your mobile phone or online for free, with no ads, and no SMS charges, with anyone, on any platform. Telegram is one of the top 10 mobile chat platforms with over 100 million users. Keeping up with social media and keeping your online community engaged can be a time consuming task. Through Bot Libre you can now automate your Facebook presence with your own Facebook bot. Any Bot Libre bot can be connected to a Facebook account or Facebook page. The bot will manage the Facebook account or page, checking timeline status updates, replying to page posts, auto posting your blog posts or RSS feed, and auto posting timed or generated posts. Chat Logs : how to train your customer service bot by monitoring its chat logs, using keywords and topics. Bot Libre supports a diverse set of features for creating and training your bots. Today we will discuss the Training & Chat Logs feature, and how to create and train a customer service bot using the Training & Chat Logs page. The Training & Chat Logs page provides the best way to monitor and train your bot, by letting you see its conversations and let you correct its responses. No scripting or programming is required. Bot Libre allows anyone to create their own chat bot, or virtual agent for free, including free hosting, even for commercial bots. You can create your own bot, and embed it on your own website, mobile app, or integrate with your social media. You can create bots for fun, for business, for customer support, or for someone to talk to. there is not that many of those. What error or issue are you getting? This piece of code is not working in latest version of botlibre please help. I do not want to pay, forget it. Contact sales@botlibre.biz if you would like us to develop a bot or script for you. I need the full code.i need to see if it is what I need? the chatbot really would be acting like a girlfriend acts if you stay away too long. You could do this with a Self script, or using the "think" tag on a response. times the chatbot would say I guess I can forgive you.then the chatbot would answer my questions and play games with me. stayed away too long.the user would have to say I am sorry or talk to the chatbot a while.the chatbot would count how long the person talked.then after they said something to the chatbot for ten times the chatbot would answer their questions. 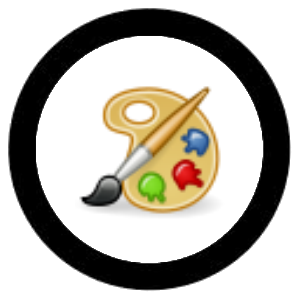 We have released the 'Bot Libre 3D' app for Android. The app uses our new Unity SDK for 3D avatar animation. We have released the 'My Virtual Dream Girlfriend' app. Don't got a girlfriend? Why not create one. The website was updated to Bot Libre 7.2.1 today. The updated includes few minor changes, including changes to content ratings for private bots. okay I did not know that. You can only edit avatars that you create. 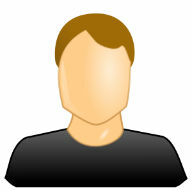 If you select an avatar from our library you can only use it, not edit it. i cannot edit my avatar.i must be an admin user. I already know how to do that.my chatbot will ask if an emotion is negative or positive then learns if those emotions are positive or negative.I am going to do something like that with many different words. my chatbot will be able to learn a about a word through asking question. I am trying make my chatbot to learn if words is a emotion,activity,synonym or other types of words in a sentence.then say something appropriate in response to the chatbot knowing that the word is an emotion,activity,synonym or other types of words.i want the chatbot to say something in response to me typing I am sick to the chatbot. You're AIML does not make sense, I have no idea what you are trying to do. The website was updated to Bot Libre 7.2.0 today. the problem I am having is in bugs and features forum. http://www.botlibre.com/forum-post?id=25081459. the truth I am having problems with that.it stops working for no apparent reason. You can implement this functionality using a Self script, or the AIML <self> tag. chatbot response=I am fine.do you like to play games. RE: identifying a chatbot as male and female. would not it be easier to make the chatbot male or female in the description? 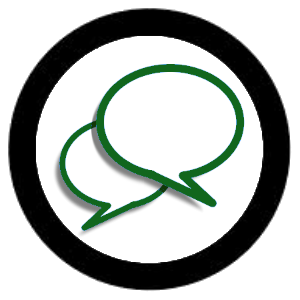 default: What else do you want to chat about? default: What else do you want to know about sports? What you suggested is working. how would I find out that?is there any another way of finding the web api laybia chatbot uses other than emailing the maker of it? The the bot supports a web API then it should be possible. would it be possible for a botlibre chatbot to talk to the Labyia AI Chatbot on her websight? You can add compound synonyms as well. response: Yes, I like ice hockey. I found a solution in aiml for some it. I would recommend using Self for this, AIML is not a programming language. You can use the "self" tag in AIML. how would I look for a value of a word in two maps and then write a word to one of those maps if the value is in either map in aiml? It is "\n" not "/n". I deleted all breaks, which works. Just an fyi though - the "/n" does not work - it enters into the post that the bot publishes. so delete all breaks in the post essentially and then put "/n" at the end? The entire post needs to be on one line. You can use "\n" to define a multi-line post. When you enter in the separate posts for the auto posts feature, how exactly does it need to be entered, my posts are much longer than a simple sentence and include multiple lines of text. In the help dialogue it says to separate by a new line, so will one actual post end up being multiple posts because of this or is there a way or code to separate an entire post? The website was updated to Bot Libre 7.1.0 today. That's really good news. I will upgrade to see how new features can help me make smarter bot. i looked through all my aiml scripts and I do not see what could be stopping it from working.